We went retro on this one. Basic and clean. Made by Alé. 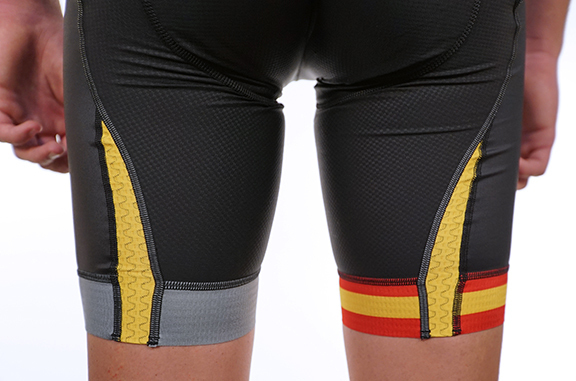 Be aware that the sizing on these is definitely "race-cut." So be ready for a jersey and bib that fits small. Pair these up with the Alé Spanish jersey.